I photographed three strange striped Ephemerella nymphs from the same trip on the same river: a black and olive one, this one, and a very very striped one. I have tentatively put them all in Ephemerella needhami for now. 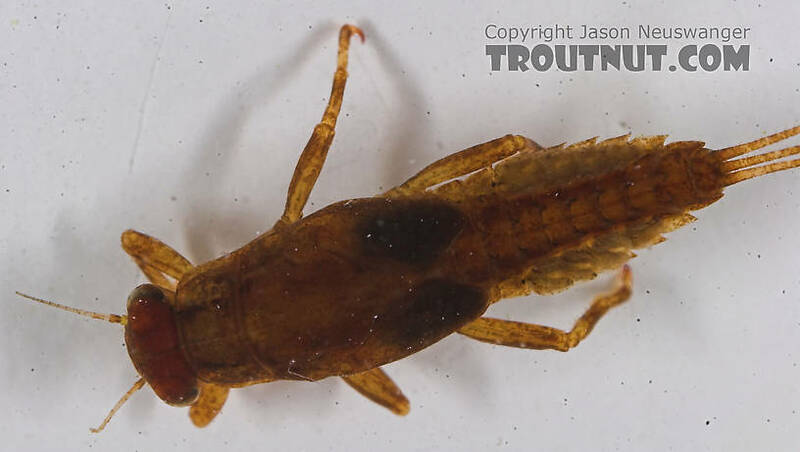 This mayfly was collected from the Bois Brule River on June 9th, 2005 and added to Troutnut.com on May 26th, 2006.